Life expectancy and your health will affect your annuity rates. 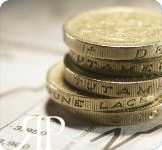 Annuity rates determine the amount of regular income you will get in return for your pension savings. They are usually shown as how much money you’ll get per year for each £10,000 you pay in. For example, an annuity rate of £500 would mean you’ll get £500 for each £10,000 you invest – so if you gave your annuity provider £50,000, you’d get £2,500 a year. But what influences annuity rates generally? This guide explains all you need to know. Annuity rates – how are they calculated? 1. Life expectancy Annuities work like insurance – all the customers’ money is put into a pool and paid out until the term ends (when you die). This means that people who live longer get a bigger share, and people who die sooner get a smaller share. This is reflected in annuity rates. The longer you’re expected to live, the lower your rate, because the provider will be paying you for longer. 2. Your health This is linked to your life expectancy. If you’re in poor health (i.e have High Blood Pressure, Raised Cholesterol, Diabetes, Heart Disease, Cancer, Stroke, Respiratory or any other potential life threatening illness) or you live a less healthy lifestyle (i.e a current or ex-smoker, consume high alcohol units), you’ll be expected to live for a shorter time, so you’ll get a better annuity rate. Enhanced annuities work on this basis, and can secure you up to 60% more income. 3. Interest rates The lower interest rates are, the lower annuity rates are. This is because pensions are partly funded by the interest earned when your money is invested, so you’ll get less for your money when rates are low. Even if interest rates are low, annuities always protect against longevity and will pay a guaranteed income for life. 4. Gilt yields Annuities are also partly funded by government bonds (known as gilts) which insurers buy. In return, the government pays the insurers a fixed amount of interest, which is tied to the base rate and inflation. So when the base rate and inflation are low, gilts are worth less, causing annuity rates to fall. 5. Not your gender Until 21 December 2012, insurers were allowed to rate annuities based on gender. Women have longer life expectancies than men, so were given worse rates. However, the EU gender ruling found that any difference between men and women when buying insurance was unfair, so it’s now illegal to offer different annuity rates.